LJH Electrical are local based electricians in Ipswich covering all electrical work from domestic small works to industrial and commercial. We carry out work to all types of building sector , from domestic houses, to industrial and retail. We pride ourselves in carring out first class electrical work, to the highest standards. We have been in business in Ipswich for 12 years and have built our reputation on being Competitive – Safe – and Quality of workmanship. 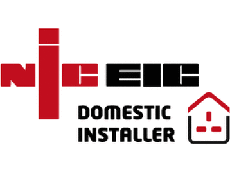 We have built a comprehensive customer-base in Ipswich and the surrounding areas, we are registered with the following bodies, NICEIC, TRUSTMARK. LJH electrical believe on building a reputation , for not only great work manship, but also a friendly reliable team of trustoworthy engineers.